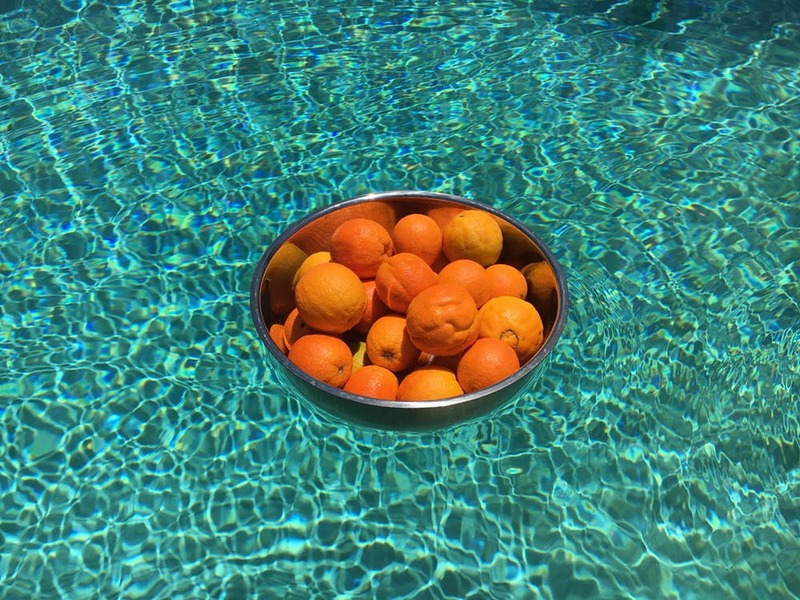 You may have heard about how important it is to test your pool water and adjust your pH level appropriately…but what does that mean exactly? Why is it so important? pH is the term commonly used to refer to the level of acidity or alkalinity present in the pool’s water. The level of pH is measured on a scale of 0 to 14. A value of less than 7 would indicate acidity, a value of 7 would be neutral, and more than 7 would represent alkalinity. Ideally, pool water should fall in the range of 7.2 to 7.8. When your pH level falls below 7.2, your pool water is considered corrosive. This means that the surface of your pool, grout if you have a tiled pool, liner, and equipment can become damaged. Plaster surfaces become rough and provide an excellent place for algae to flourish. Metal parts will corrode and form sulfates which can cause brown and black stains. Additionally, at a pH level below 7.2, the chlorine present in the pool is unable to work properly as a sanitizer. The chlorine becomes harsher, and may more easily irritate the nose and eyes of swimmers, or cause dry, itchy skin, and even cause swimwear to fade. At pH levels higher than 7.8 calcium present in the water can create scale – the same kind you would find in a tea kettle, for example – and will build up inside pipes and clog filters and fittings. This scale buildup reduces water circulation which forces the pool equipment to work much harder- shortening the life of your pump motor, heater, filters, and other pool equipment. High pH can also cause the pool water to become cloudy. High concentrations of calcium can cause your sand filter to fail and become unable to filter out dirt and debris. The effect of chlorine becomes weakened, and you’ll need to add much more to the water, which results in a costly waste of time and money. Similarly to a low pH level, the added chlorine will be extremely irritating to the swimmers eyes, nose, and skin. To maintain an appropriate pH level, you’ll need to test and balance your water regularly. A schedule of at least once a week is recommended, and more often still if you use your pool frequently. Even when there are no visible problems, and your water looks fine, you may still be at a pH level that is too high or too low. Obtain a pool water test kit or strips, and follow the manufacturer’s instructions for using and reading the results. Never use expired chemicals as they can provide inaccurate results, resulting in wasted chemicals adjusting the pool and still not having properly balanced water.